An aerial view of Hawaii’s East Island after it was struck by Hurricane Walaka last month. The island, home to endangered monk seals and Hawaiian green sea turtles, nearly disappeared after the storm. Only two miniscule slivers of East Island have resurfaced since the Category 5 storm struck the region and washed away the 11-acre strip of sand and gravel that is part of the French Frigate Shoals. 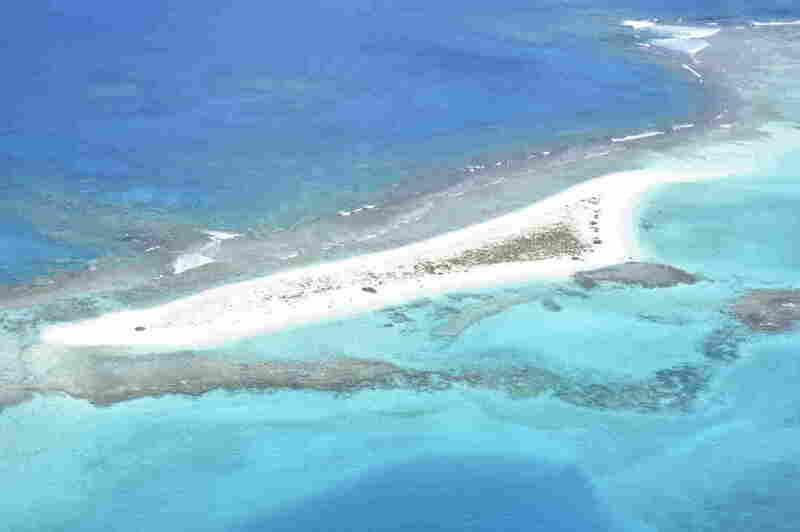 A view of East Island before Hurricane Walaka, a category 5 storm, washed over the 11-acre islet. “Without a doubt it was the most important nesting site for green sea turtles,” Charles Littnan, a biologist with the National Oceanic and Atmospheric Administration Fisheries Hawaiian Monk Seal Research Program, told NPR. “It’s a really powerful example of the power and potential of nature that overnight an island was washed away,” Littnan said. While the French Frigate Shoals — about 550 miles northwest of Honolulu — represent the nesting site for 96 percent of the of the world’s Hawaiian green sea turtle population, the tiny islet has been host to 50 percent of those breeding turtles. 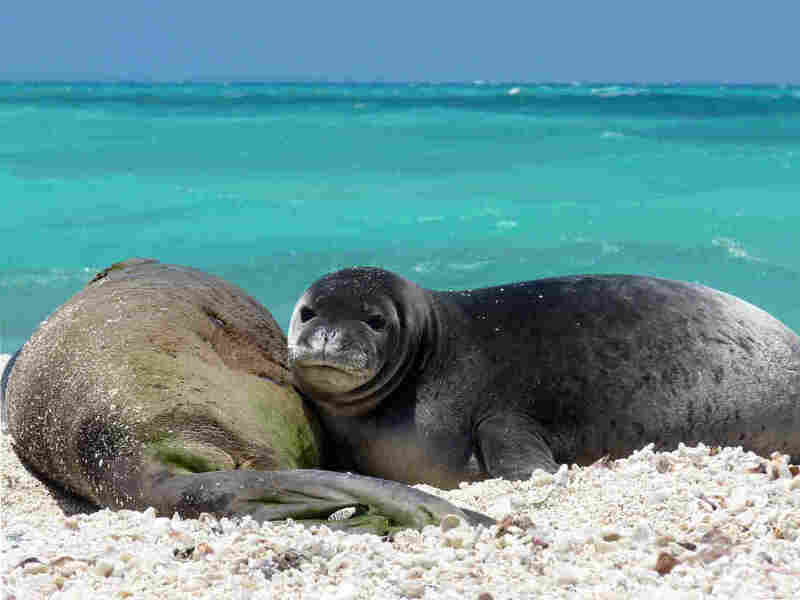 The island was also home to critically endangered Hawaiian monk seals. Each year about 200 of the seals visit East Island and about 30 seals have their pups there, Littnan estimated, noting that there are only about 1,400 of the animals in the world. Hawaiian green sea turtles basking on East Island beach. The tiny island remains almost entirely underwater after Hurricane Walaka struck the Pacific last month. It is unclear where the seals and turtles that rely on the island will go next or what the long term impact to wildlife will be. “But in terms of the timing it couldn’t have happened at a better time,” Littnan explained. Approximately 120 turtles nested this season, a significant drop from previous years when 800 or more nested on the island. 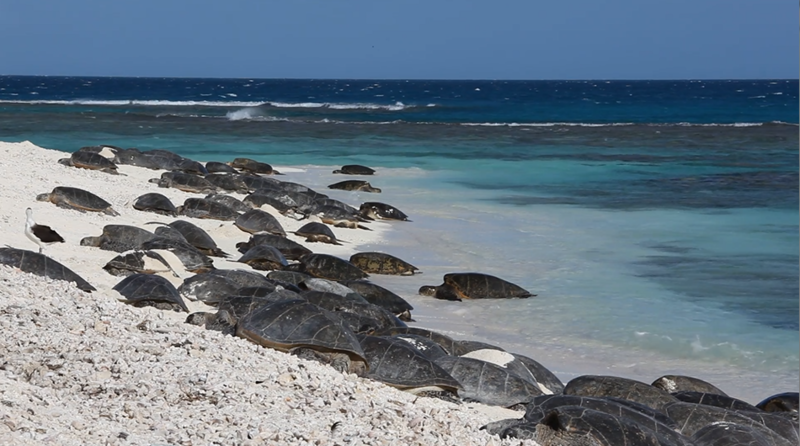 East Island is a critical habitat and breeding ground for endangered monk seals. Scientists estimate one monk seal mother and pup remained on the island when the category 5 storm struck. “No one expected East Island to disappear this quickly,” Chip Fletcher of the University of Hawaii’s School of Ocean and Earth Science and Technology, told Hawaii News Now. Scientists won’t know the full extent of Walaka’s impact on the wildlife of the Hawaiian archipelago for another year, when scientist return to survey the islets. In the interim, researchers are conducting a handful of information-gathering expeditions. Hawaii News Now reported aerial photographs taken after the storm show sections of East Island have resurfaced.